After teasing for a while, Oppo India has officially launched the Oppo K1 smartphone with Snapdragon 660 chipset, 25MP selfie camera and an in-display fingerprint scanner for Rs 16,990. The Oppo K1 is the cheapest smartphone in India with an in-display scanner, beating the Vivo V11 Pro which had the crown until now. 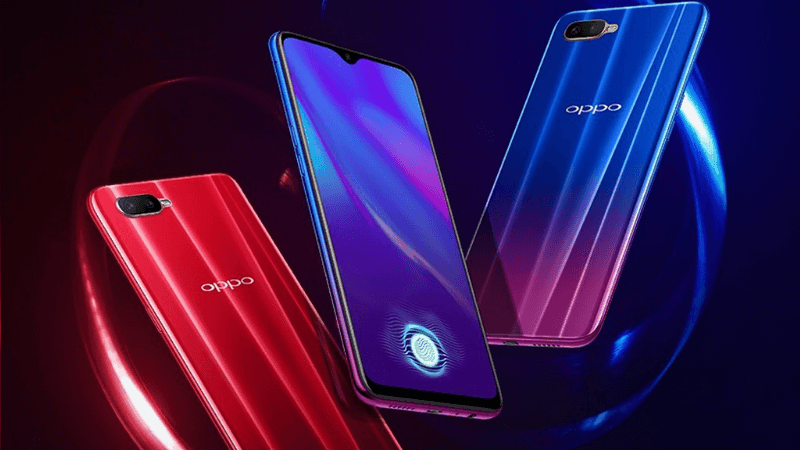 The Oppo K1 is an online-only smartphone as the company wants to increase its online market share in the Asian sub-continent. The K1 also features the trendy gradient design and comes in two colour options- Piano Black and Astral Blue. Oppo launched the smartphone in only one variant with 4GB of RAM and 64GB of internal storage, which might be a bummer, but other variants are likely to launch in India very soon. 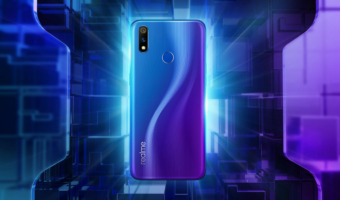 Diving into the specifications of the Oppo K1, it’s mid-range handset aimed at taking on some of the popular phones such as the Xiaomi Redmi Note 6 Pro, Realme 2 Pro, Asus Zenfone Max Pro M2, Nokia 6.1 Plus and the Xiaomi Mi A2. The phone rocks a 6.4-inch Super AMOLED display on the front and the fingerprint scanner is integrated into the display. It’s one of the few smartphones to launch with a Super AMOLED display under Rs 20,000. Oppo also added the Corning Gorilla Glass 5 for scratch protection. Underneath the Oppo K1, we have the Qualcomm Snapdragon 660 chipset, paired with 4GB of RAM and 64GB of internal storage. As noted, Oppo launched only one variant of the K1 in India. Sadly, the K1 lacks a microSD card for storage expansion. It runs ColorOS 5.2 based on Android 8.1 Oreo which is underwhelming as most of the phones releasing these days are coming with Android 9 Pie out of the box. Connectivity options on the handset include Dual 4G, VoLTE, Wi-Fi 802.11 b/g/n/ac, Bluetooth, GPS and a Micro USB port. The phone is backed by a decent 3600mAh battery. As for the cameras, we get a 16MP+2MP shooters on the rear side, followed by a 25MP selfie shooter on the front. Being an Oppo phone, you can expect all the AI-based camera features inside the camera app. The Oppo K1 has been priced at Rs 16,990 in the sub-continent, which is very aggressive considering what we’ve seen from Oppo in the past. The phone comes in two colour options- Piano Black and Astral Blue and it can be purchased exclusively via Flipkart starting February 12, 2019. 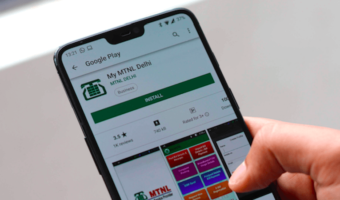 It’s Oppo’s first online-only smartphone as the company is looking to take on Xiaomi and Realme brands. The Oppo K1 competes with the Xiaomi Mi A2, Realme 2 Pro, Asus Zenfone Max Pro M2 and the Xiaomi Redmi Note 6 Pro. 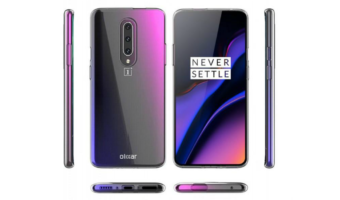 Let’s get this straight- all the phones lack the in-display fingerprint scanner and AMOLED display, so the Oppo K1 has an outright advantage. But for those whose prefer the standard biometric sensor, they can choose the four phones mentioned above. Besides that, the Mi A2, Realme 2 Pro and Max Pro M2 feature the same Snapdragon 660 SoC. Except for the Realme 2 Pro, the other three phones look dated compared to the Oppo K1. At Rs 16,990, the Oppo K1 is a decent smartphone especially if you’re looking for a phone with an in-display fingerprint scanner. Good luck with Android P update? It has dedicated micro SD card slot.